When will you receive your skin? 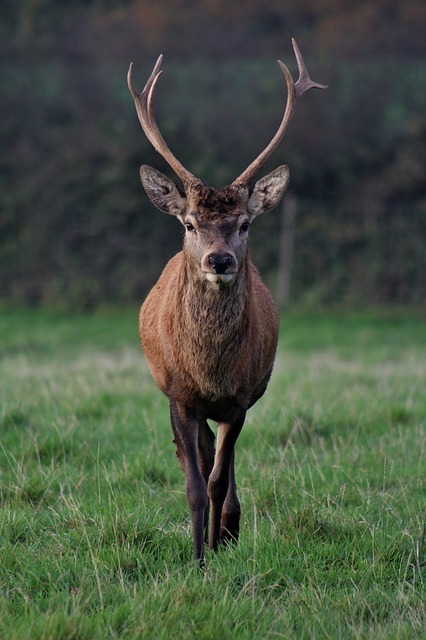 Fallow deer, stag, doe etc. We can dye the fur to any colour shade required, print animal patterns, make brisa effect, shearing, brightening, velour, nappa etc. We dye leather either to black colour or we leave it natural. If you want to dye your leather to another colour, it is possible only after an agreement with our technician. How to prepare skins for the dressing? Raw skins cannot be older than 6 months. Skins cannot be cut through, eaten by skin beetles and rotten. After pelting, hides are preserved by salting or drying. We accept sheepskins with the length of the wool up to 4 cm. If the wool is longer, we demand a written permit to shear your skins. 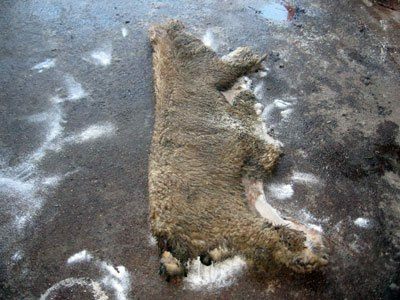 Sheepskins with the wool longer than 10 cm are automatically send back to the sender. We recommend shearing your sheep 3 months before slaughtering in order to obtain nice and good-quality skins. If the skin is marked with sprays, the wool will be also slightly coloured. Immediately after pelting, scrape off the fat layer and the rest of the meat. Cleaned skin spread on a wooden pallet or such till next day to let the skin cool down properly. The next day, salt the leather side of the skin (with at least 2 kg of salt per 1 skin). Then you can fold this salted skin lengthwise (salted leather side to salted leather side), after this you can fold the skin in any manner. If you have more skins, you can pile them – leather side on leather side. If you don’t send the skin within 10 days to us, shake the salt out of the skin and salt the leather side with a new dose of salt. If you dry a skin that is closed (not cut along the belly), dry it with use of a stretcher (iron wire frame), and turn the leather side outside (fur inwards). If the skin is opened (cut along the belly and spread), dry it freely thrown over a beam. Support edges with wooden skewers to prevent edges from curling while drying. Rabbit skins have to be without heads and front legs. Skins prepared according to our instructions above can be delivered to us personally (from 6:00 to 12:00) or can be sent by post to our address: Činírna 353, Brtnice 588 32. Dry skins should be put freely in a cardboard box. Before packing, salted skins should be wrapped in a paper, then put in a plastic bag or wrapped in old rags to avoid leakage through the box. Please send packages from Monday to Wednesday to prevent unnecessary storage at a post office over a weekend. In each box put a legible address and a phone number (phone contact is very important, so we can contact you quickly in case we have to agree on the following procedure). – If you want to tan your hides to leather, don’t forget to put a written command in a box. – If you send us foxes, write us whether we can open them (cut the skin alongside the belly) or you want to dress the skins closed. – If your sheepskin has a wool longer than 4 cm, write us a permit that we can shear the wool. We receive skins for dressing continuously, we don’t dress each skin individually, but we wait for a bigger amount of skins to dress. Each skin has a unique perforated number and thanks to that your skin is unmistakable. 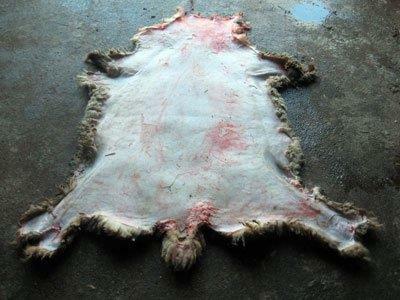 Your orders will be finished within 3 – 4 months latest (dressing of rabbit skins is done within 3 – 6 months). If the fur falls out during the processing from 10 % and more, we don’t continue processing the skin. We call you and we agree on the next steps. When the goods are finished, we send them to you by post (with COD). Purchasing price is determined after a professional evaluation of the quality.